The New Forensic Mental Health Facility is taking shape, on the 32 acres site at St Ita’s Campus, Portrane, Dublin. J.V. Tierney & Co. have carried out the Mechanical and Electrical Design for this project, and are currently carrying out monitoring and inspections on the construction stage of this facility. 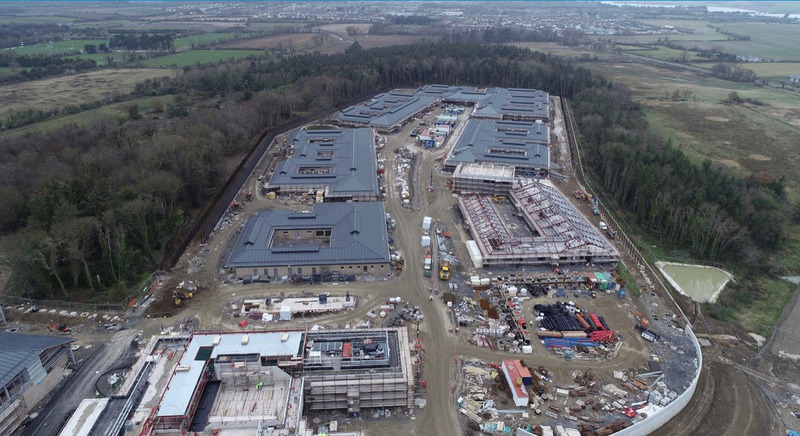 The new 130-bed adult forensic development, at St. Ita’s Campus in Portrane, will replace the existing 94-bed Central Mental Hospital complex located at Dundrum, Dublin. The complex at Portrane will also include a new 30-bed Intensive Care Rehabilitation Unit (ICRU), together with a 10-bed Forensic Child and Adolescent Mental Health (CAMHS) unit. This development fulfills recommendations made in the national mental health policy “A Vision for Change” and the cost is in order of €160 million. It is envisaged that the new facility will open in early 2020. The buildings, which have been designed to achieve a BREEAM “Excellent” rating, includes many sustainable energy and safety features including anti-ligature LED light fittings and fixtures, Natural Gas fired medium temperature district heating system, high pressure mist sprinkler system designed to aid evacuation is incorporated into each bedroom, X-Ray Screening at entry points, and Building Energy Management Systems (BEMS) coupled with extensive energy metering of plants for optimum control of energy systems. The design also included roof top plant spaces for ease of access and maintenance which also limits maintenance staff working on the client occupied areas of the building. J.V. 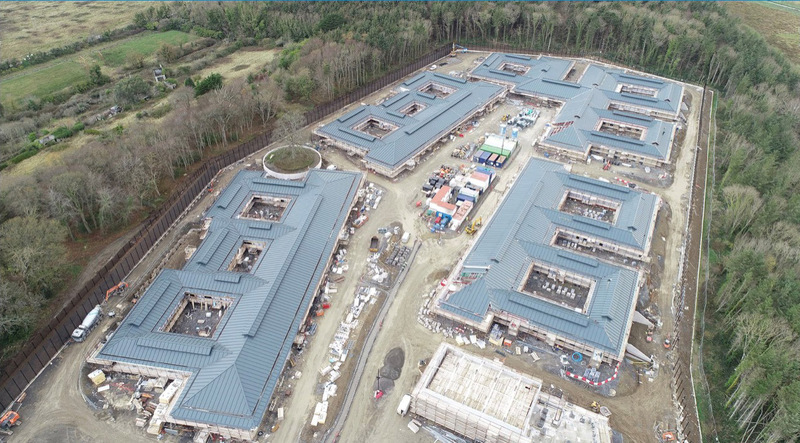 Tierney & Co. are proud to be working on this facility with the HSE and HBS, and believe it will be a much needed state of the art facility to our mental health services here in Ireland.